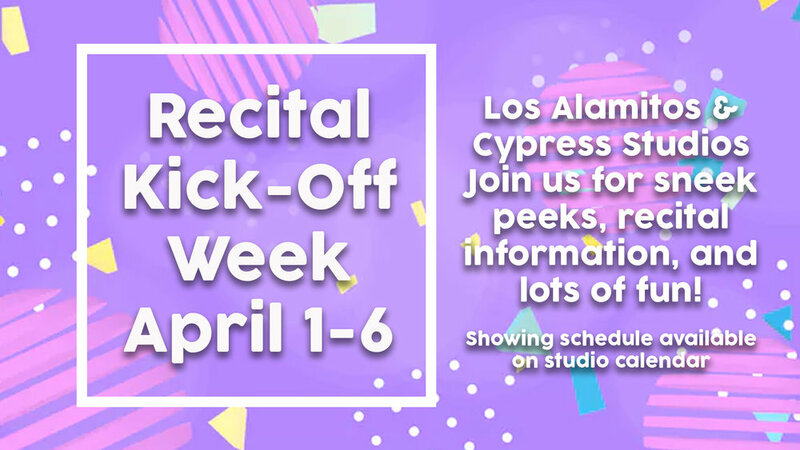 Join us for our 2019 Recital Kick-Off Week. Our dancers will be showing their 'works-in-progress.' This is a great time for parents to see their child's progress and to have any recital-related questions answered.